While you’re on your weight loss journey with phentermine, often the best way to keep your cravings at bay is to not allow your favorite unhealthy treats in the house, but this is easier said than done when you have children, especially during the holiday season. Halloween may now be behind us, but the trail of trick or treat candy it leaves in its wake is still lurking in your house. So how can you stay strong and resist the temptation to eat it yourself? Here are some tips and tricks to make sure you don’t eat your kids’ Halloween candy this year! Gather your kids together and get them to help you divide up their candy to put into containers with their names on – even better if you can find a cute smiling picture of each child to stick on the front of the container. Then, when you are tempted to help yourself to some of their candy, look at their trusting face and think about how you’re stealing candy from one of your children – feels a bit wrong, doesn’t it? Hopefully the loving parent inside you will overpower the cravings you have for the candy and you’ll stop yourself from reaching inside. If your kids can have their own box of goodies, so can you. Of course, these will be healthy but they’ll also be just for you. So when you are tempted by the candy in the kitchen, instead of reaching for your kids’ treats, head straight for yours. You can include snacks like pistachios, almonds and walnuts, pumpkin seeds, sunflower seeds, dried soya beans, goji berries and lightly salted air-popped popcorn. Pack them up into 100 calorie snack packs so that you can reach for them quickly when you feel tempted to raid your children’s candy. Believe it or not dehydration can cause us to crave sugar. Being well hydrated has a lot to do with energy levels, and when your energy levels get low your kids’ candy might seem like the perfect quick fix. Next time you get a craving to grab a bag of sour jellies, have a glass of water instead and see if that helps to solve the problem. Cinnamon is an excellent way to control sugar cravings; simply try putting a small amount of cinnamon on a spoon, eat it and you’ll see that it works to kill cravings straight away. Or if you prefer, sprinkle some on your cereal, or stir some into tea or coffee. Cinnamon has a calmative effect on the digestive system and may aid digestion, while it also helps to regulate blood glucose levels, and is also known for its anti-inflammatory properties and its ability to help kill off bad intestinal bacteria. So other than helping to keep you away from the candy, cinnamon can also provide other health benefits, too. Who wants inferior kids’ candy when you can indulge in some luxurious cocoa-rich dark chocolate? A couple of squares of dark chocolate each day will satisfy your sweet tooth and give you other health benefits, too. Eating dark chocolate has been shown to reduce blood pressure, improve cognitive function, reduce stress levels and increase feelings of happiness, plus the antioxidants it contains can help slow the signs of aging and help protect from many types of cancer. Chocolate also contains essential minerals potassium, copper, magnesium and iron, and helps keep your blood vessels healthy, protecting against type 2 diabetes. Furthermore, the flavonoids in dark chocolate help reduce insulin resistance by helping your cells to function normally and regain the ability to use your body’s insulin efficiently, without causing huge spikes in blood sugar levels. Herbal teas like peppermint tea and licorice tea have been shown to reduce sugar cravings and hunger cravings, in general. Licorice tea also has many other great health benefits and it can help to relieve chest congestion, as it is a natural expectorant. Green tea is another option, and if you’re not keen on the taste, flavors like mandarin give your taste buds a fruity treat. The antioxidants in green tea suppress sugar cravings by helping to inhibit the movement of glucose into fat cells, which slows the rise of blood sugar and prevents high insulin and subsequent fat storage. Fruit is nature’s natural sugar packed in a delicious parcel, which should satisfy your sweet tooth in no time. Although fruit does contain fructose, which is sugar, the sugar in fruit arrives with added nutritional value, as it contains a large amount of water, loads of dietary fiber that helps digest the sugar, along with vitamins, minerals, and phytochemicals. While it’s easy to believe that a grease-laden cheeseburger is bad for you, candy seems less obviously harmful to your health. However, a lot of candy contains high fructose corn syrup (HFCS), which has been linked to obesity, cardiovascular disease, diabetes and non-alcoholic fatty liver disease. Critics argue that HFCS is more harmful to humans than regular sugar, contributing to weight gain by affecting normal appetite functions, meaning that it actually increases your appetite, working against phentermine’s appetite-suppressing effects. If that’s not enough to scare you into putting down those jelly beans, then have a look at terrifying pictures of tooth decay and cavities online to see how harmful candy is to your teeth. It is also be possible that you need a little extra help to suppress your sugar cravings. 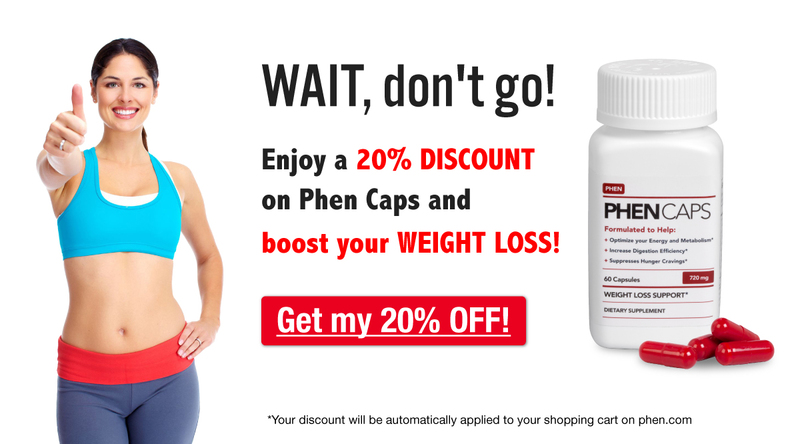 Phen Caps, a product recently added to Phentermine.com, is a phentermine alternative which can be taken with phentermine for an extra boost, on its own, or after you finish your phentermine prescription. It helps to suppress appetite and sugar cravings using caralluma, a type of cactus which has been found to significantly reduce cravings and suppress hunger throughout the day. Is your house full of candy after your kids’ trick or treating haul? Let us know if you have found these tips useful for avoiding temptation, or if you have any tips of your own, please share them with us below!